Watch all 6 instalments of The Texas Team Trail 2018 season. 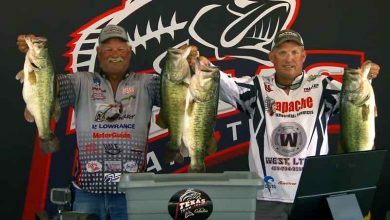 It sees the best Texas Bass anglers compete at well-known lakes, such as Sam Rayburn Reservoir, Lake Amistad and Toledo Bend Reservoir. Theres a 5 fish limit each day and with great prizes all the way down the leaderboard the competition is always intense and very exciting. It culminates with the Tournament Championship, a two day event with the biggest purse of the year and where the Team of the Year is decided. 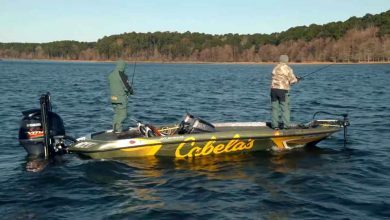 This year, the Texas Team Trail season kicks off at Toledo Bend Reservoir with a record-sized field of teams competing for a brand new boat and more! But the cold winds and water temperatures have pushed the fish down deep, so finding them will prove tricky. With a 5 fish limit, any weight over 25lbs will stand a chance. 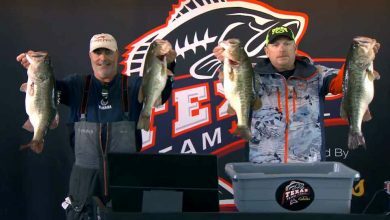 Our second stop of the 2018 Texas Team Trail season is one of our favourites - Sam Rayburn Reservoir. This East Texas lake always delivers on huge bags of bass, but with rain forecast for the whole day and fog hanging over the water conditions will be tricky. 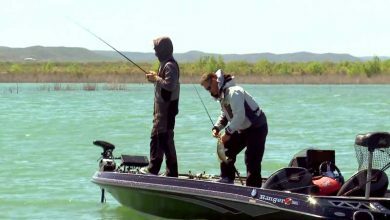 Texas Team Trail's third qualifying stop of the 2018 season is at Lake Amistad in Del Rio, Texas on the Mexican border. Over 200 teams are competing, with a brand new boat going to the winners. A cold front moving through overnight has made things tricky and the guys will need to put all their experience to the test if they are to fill a bag full of big Bass. 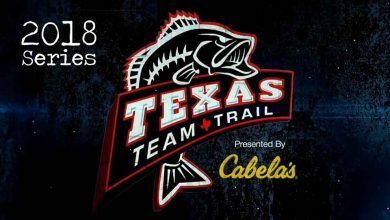 The fourth and final qualifying stop for the 2018 Texas Team Trail season is at Lake Ray Roberts. Reports are it's on fire, so look out for some heavy bags come weigh-in. 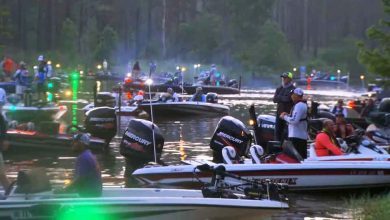 The Texas Team Trial Championship 2018 reaches its climax here at Sam Rayburn Reservoir. 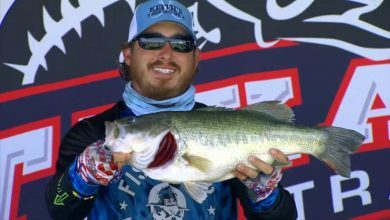 Clayton Boulware & Albert Collins take a massive lead into day 2, but there's obviously big bass out there to be caught, so will someone overtake them?